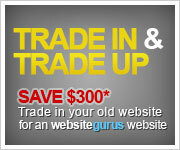 ....will be able to be used for both normal website viewing as well as updating your website content in the administration area of your website. 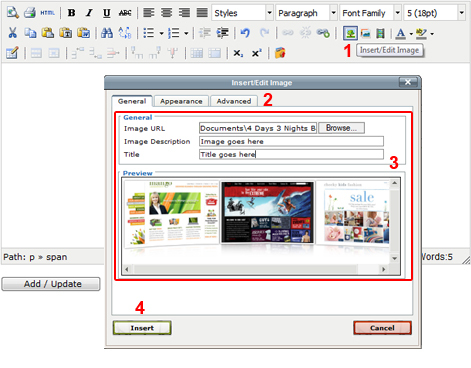 As part of this upgrade, the functionality of the content management system (Rich Text Editor - RTE) has been enhanced with slight changes to some of the icons / functionality eg: linking, image insertion etc. Find out more by clicking on the buton below. Should you have any questions, please do not hesitate to contact us so that one of our team can assist you with any changes. 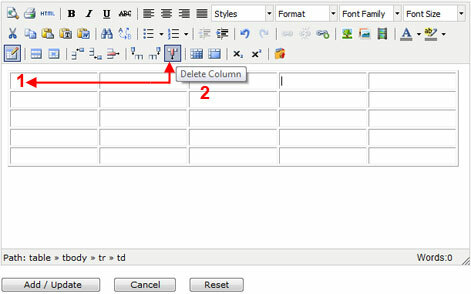 The common functions (unchanged) used in your website backend Administration Area Rich Text Editor (below) remain unchanged. 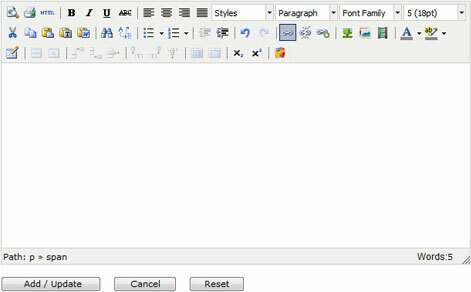 For example, bold, italics, underline, font type, size etc will be familiar to you within the Rich Text Editor (RTE). 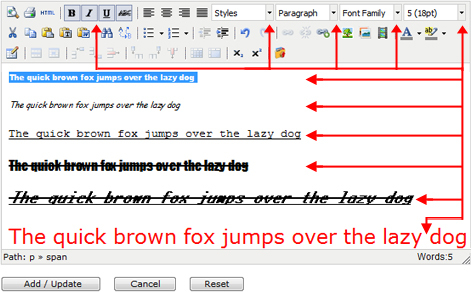 Highlight text to select the different styles, paragraph font type and font size. 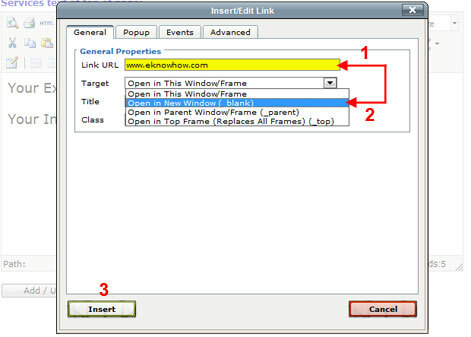 We have substantially improved the method and options for image insertion. 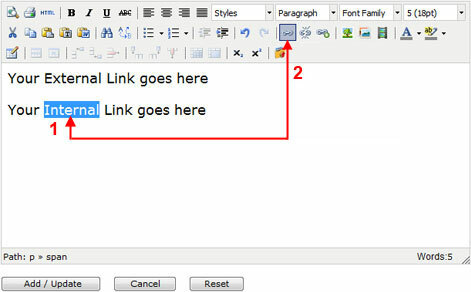 Follow the steps below, to insert images, and edit image appearance. 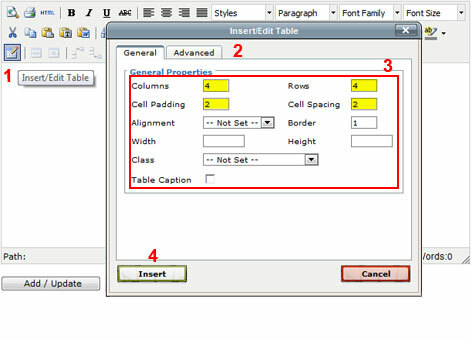 Tabbed Style Interface for Image Inserting. 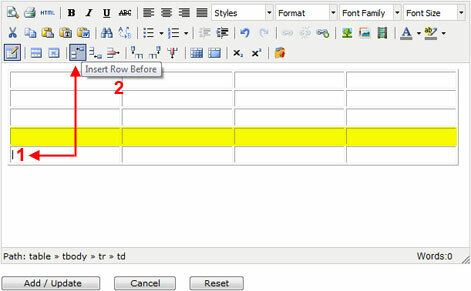 General Properties is to insert image file and preview the image file. 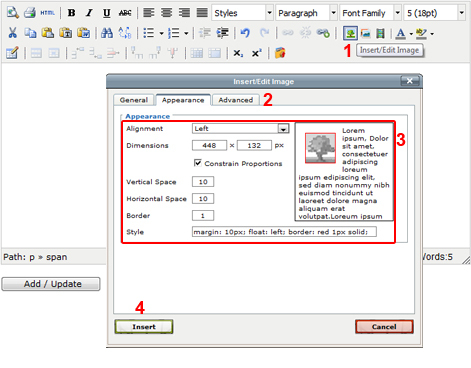 Align the image and set spacing and border. 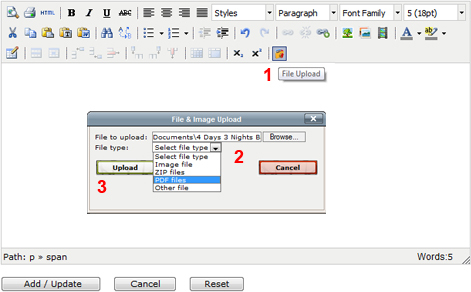 The file upload icon has visually changed to that shown in the image highlighted at 1 below. 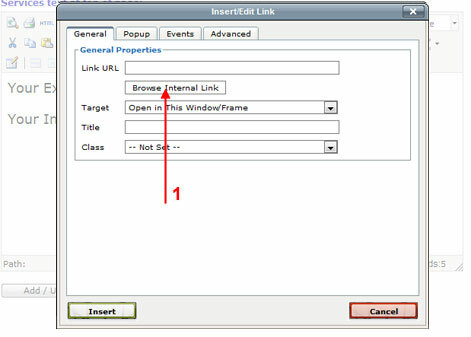 Follow the steps below to insert files including embedding media (flash, video files, audio files etc) within your website. 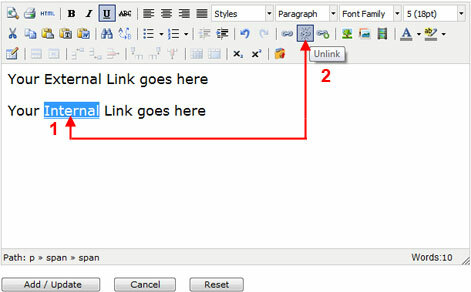 Click Upload to insert the PDF File. 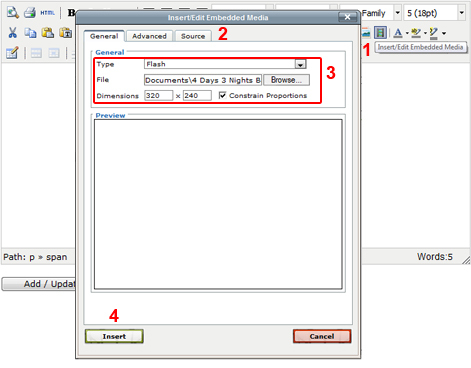 General Properties is to insert media files ( eg. 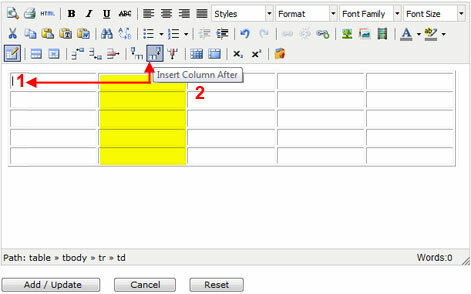 flash file) and define the dimensions. 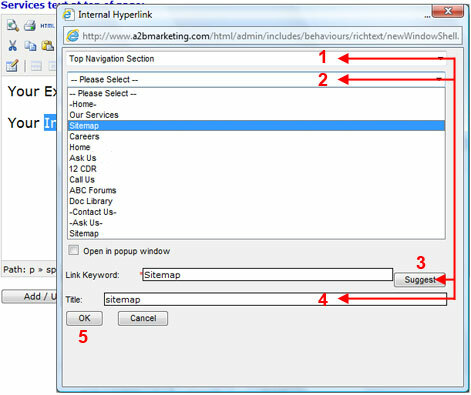 We have substantially improved the method and options for inserting external & internal hyperlinks in your website. 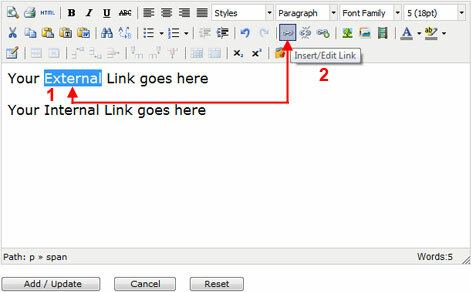 Follow the steps below, to insert both external & internal links. 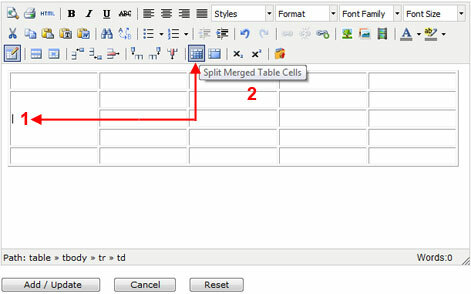 We have substantially improved the method and options for both initial insertion of tables, as well as the updating of existing tables that appear within your website's content. 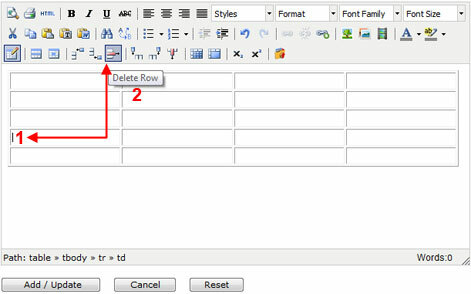 Follow the steps below, to insert and edit tables in the RTE. 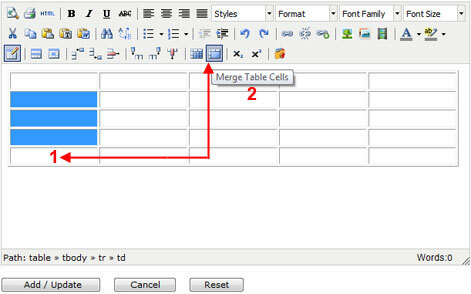 General Properties to customise Columns, Rows, Alignment, Border etc.